Some way of carrying your belongings (whether it be in a trailer or a set of panniers). Camping equipment ((if you choose to camp) such as a tent, sleeping bag, sleeping pad, etc.). A stove and the appropriate fuel ((if you choose to cook your own food) plus utensils and a cooking pot). Bicycle tools (such as a multi-tool, spare tube, patch kit, etc.). Clothing (i.e. shorts, shirts, rain jacket, shoes, etc.). Safety gear (such as a helmet and light). Technological devices (such as a cell phone, camera, GPS, etc.). And any personal items you might choose to bring along. 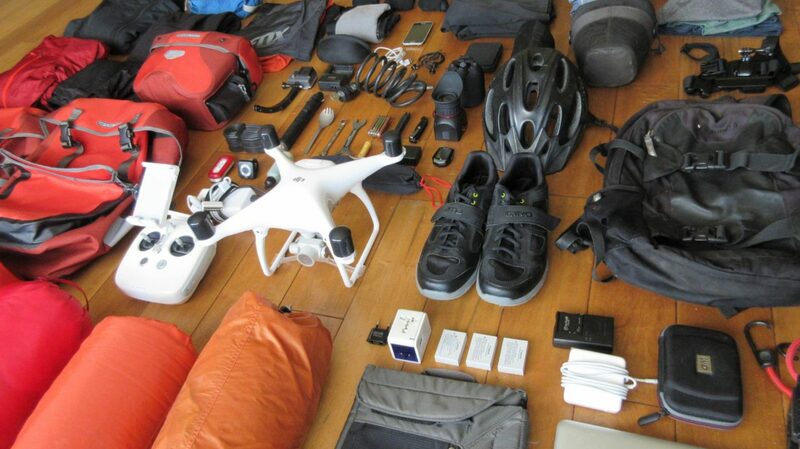 Detailed packing lists for a bike tour of any length can be found inside: The Bicycle Touring Blueprint – the best book on the planet for planning, preparing for, and executing a bike tour of any kind, anywhere in the world. 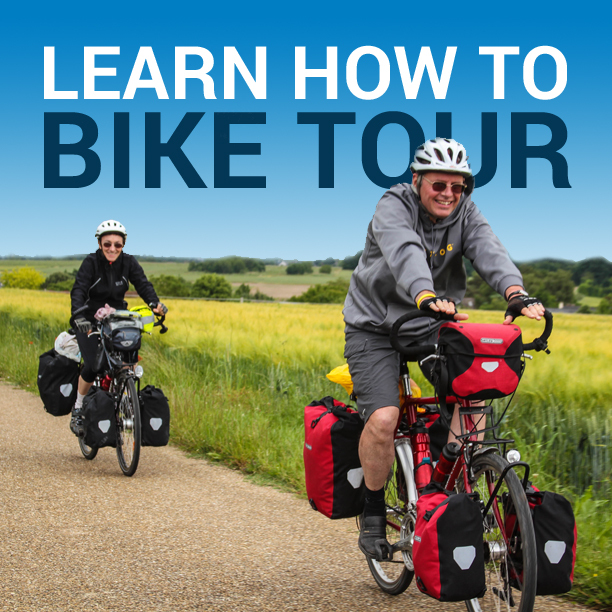 This entry was posted in Bicycle Touring Pro Articles, Featured Articles, Featured How-To Articles, Main Articles, Planning and tagged best cycling gear, bike tour gear list, bike touring equipment, bike touring gear, cycling gear list, cycling gear you need, gear for bicycling.